Revealed: Paul Pogba greatest happiness in football. What do you think is the greatest happiness for any soccer player? Some would say is playing for their dream team, other woulds say is winning trophies and few more would wish to be considered among the top players in the world. 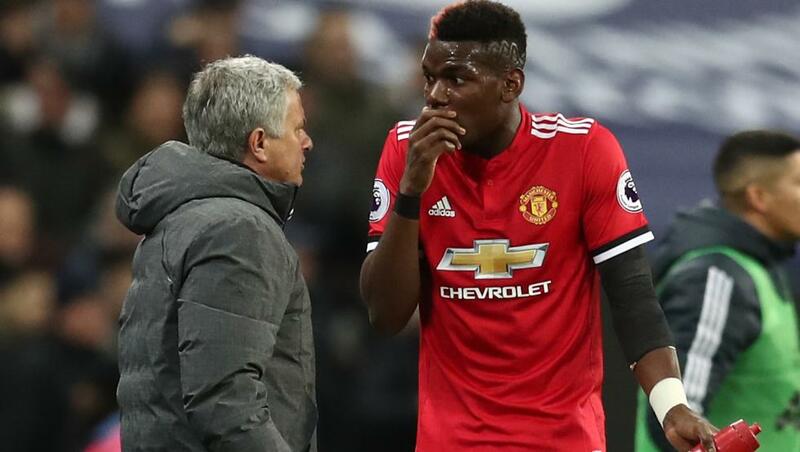 Paul Pogba has said his relationship with Jose Mourinho is one of “happiness” and insisted ahead of Wednesday’s Champions League game with Juventus that he has no regrets about leaving the Italian champions to rejoin Manchester United in August 2016. Pogba will play in the Allianz Stadium Wednesday for the first time since leaving Juve for a then-world record fee of £89 million two years ago. The French midfielder was signed by United to help accelerate the club’s return to competitiveness in the Premier League and Champions League, but his second spell at Old Trafford — Pogba left United for Juve in 2012 — has seen the team make little progress under Jose Mourinho. 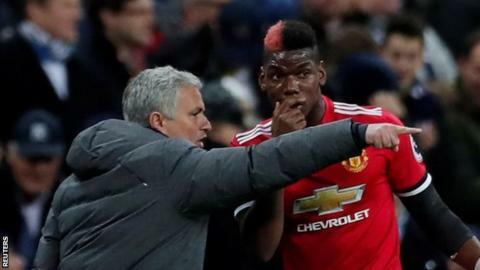 Pogba’s relationship with the manager has been questioned, with Mourinho taking the vice-captaincy off the player earlier this season. But despite that incident and United’s failure to compete for the biggest trophies, the 25-year-old insists he has no regrets over the move back to Manchester. “For me, it didn’t affect me [to lose the vice-captaincy],” Pogba said in Turin. “I’m still playing and I’m really happy to play. “The manager is the one who chooses who is captain. Me, I was the second one after Antonio Valencia. “If he takes [from] me the armband, it doesn’t change anything for me. I just want to play, perform, that’s my job and give my best for my team and for everybody, for the fans, for the club. But did losing the responsibility of being vice-captain affect his relationship with Mourinho? “If I ask you this question, how is the manager with other players, he will say he is the manager and I [am] the player,” Pogba said. “I think [the] same way as everybody. “I am just a player. I do what he tells me to do. He’s the boss. He’s the manager and I listen. Pogba added: “Choosing to come back to United was my choice. Juventus were playing [in the] Champions League and Manchester were playing [in the] Europa League. I knew, first of all, I wouldn’t play [in the] Champions League and I was very happy. I made my choice and don’t regret it all. “I know Manchester, the last few years, are not being at [the] top, but I came back just to help the team and try to come back at the top and we are on the way. “Obviously we want to win trophies, that’s for sure. I’m a challenger, I want to win trophies. United go into the Group H fixture on Wednesday sitting in second position after claiming just four points from their opening three games.